Thank you to all sponsors supporting The Elmwood Club. Designmade operates trade showrooms in Wellington and Christchurch, dedicated to serving the needs of the interior design industry. In addition to showcasing the products and services of their tenants, they actively support interior design professionals through their Designer Directory, educational seminars and other events. Foley Group has been designing buildings, interiors and landscapes that have enriched people's lives for over 30 years. They have established a business built around trust, experience and dependability. Foley Group are a full design house offering Architecture, Interior Design, and Landscape design services. They put you first and design to your budget and your requirements. Twiss-Keir Realty has a history stretching back to the early days of Harcourts entering the Canterbury Market. Twiss-Keir now commands the highest market share in all markets it operates in, having over 56 salespeople in four locations it is the largest and most successful real estate company operating in North Canterbury and the North side of Christchurch. Harrisons Quantity Surveyors take pride in working in partnership with their clients. Harrisons Quantity Surveyors has extensive experience in all aspects of the construction industry including residential, commercial, industrial and insurance. They provide Quantity Surveying services to a wide variety of clients in the private and public sectors. Once upon a time, Joe's Garage could be found in the old Post Office sorting room come “garage” in downtown Queenstown. Nowadays they’re in all the best spots around NZ. Wherever you find them, Joe’s Garage is a place everybody can go to any time of day and have fun, catch up with friends, enjoy fantastic food and drink. The Manscape experience is like no other. Manscape is unique and one of the few places where MEN can go and relax, de-stress and get pampered but still feel comfortable in a tailored to suit environment. A Manscape haircut is an experience you’ll look forward to every month! Sit back and enjoy a complimentary beer, O.J. or coffee while their stylist works their magic. Nexia New Zealand is a multi-disciplined professional services firm that creates client-focused solutions in four service lines; Audit, Accounting/Tax, Insolvency/Business Recovery and Consulting. Nexia help shape and then support their clients’ dreams and aspirations; they facilitate plans; they develop and coordinate teams of specialists; they measure progress and report and they instigate change strategies while ensuring a team-oriented approach. SBS are New Zealand's member bank, so when you bank with them; they're with you. As a member-owned bank when you become a member you become part of SBS Bank. SBS are committed to creating a partnership focused on helping you on the journey to financial independence. It's not Italian pizza. It's not even a New York pizza. It's Kiwi Pizza - a deep base infused with herbs and generously topped with an array of luxurious ingredients that push it beyond the bounds of your average pizza. The flavours are a proud representation of the diverse nature of New Zealand culture and the ingredients are sourced locally wherever possible. Winnie Bagoes are proud to be counted as a Canterbury icon that's been hosting feasts and throwing parties since 1989. You Travel are all about you; service is their number one priority. 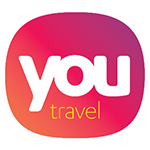 You Travel staff are the blue bloods of the travel industry - in that they are experienced, professional and passionate about helping you take your trip to the next level.